I participated in a Blog Blast on behalf of Mom Central for Urbini. I received information from Urbini to facilitate my post as well as a promotional item to thank me for my participation. Parenting is hard when you want the best for your new baby and it can be complicated in choosing the best product at the best value. I remember with my older children having to buy an infant seat rear facing seat and then having to purchase another car seat once they outgrew that one and then a separate stroller which all adds up to a lot of money and inconvenience. The Urbini Omni 3-in-1 Travel System is a wonderful new product that allows your baby to grown from the infant stage to the toddler years with only one stroller. Urbini is a new brand that desires to bring stylish and adaptable products to help parents care, protect, and nurture their babies. 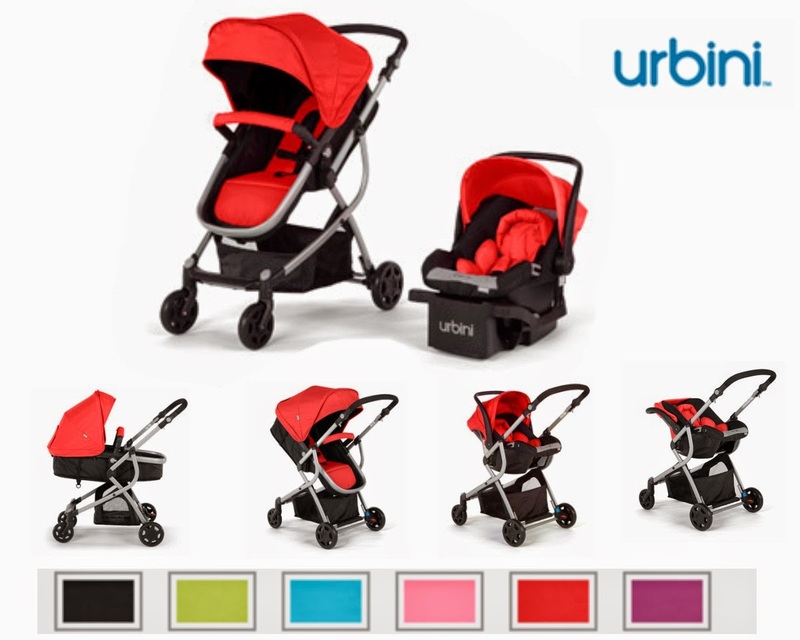 Urbini's first three products that launched at Walmart earlier last year, included the Omni 3-in-1 Travel System. This versatile system offers a variety of strolling options as your baby grows from nesting in an infant car seat, to relaxing in the cozy bassinet, to riding forward or parent facing in the convertible stroller seat. It was so popular when first released at Walmart stores and online, that it sold out in just one month but is back in stock! · Urbini also has The Hummingbird which is the world's lightest full-featured stroller with a one handed closing capability and who wouldn't like that? Strollers can be such a hassle and the closing mechanism can be equally a pain so The Hummingbird sounds ideal! The Touri includes a stroller and Petal Infant Car Seat creating the ultimate on-the-go travel system which is another win-win for parents. Anyone who travels with infants and toddlers knows the benefits of convenience. I remember visiting Disney and having to lug around a toddler and a stroller while trying to hop on and off trams. What a pain that was given the weight and the complexity in closing it! Check out Urbini on Facebook, Twitter, Instagram and Pinterest. When my kids were younger, this would have been perfect for them. We had to keep updating and passing down what we did have for the kids. I would have loved this for my kids. Also love the selection of colors. My kids are past this stage, but I would like to have had this. I wish I had had one when my kids were babies. What a deluxe system. I would definitely like to have one of those. It looks like it can do it all. Thanks for sharing! This sounds great. I would like to have it. It looks really nice, but all my kids are too big now. I'm due in just a few months and would LOVE to have one of these! I love that it's in red, too! I don't have a baby now, but this sure would have been nice when I was younger. I would have loved to of had this when my daughters were little, and most recently when my grandsons were younger! I love the green color! THis is awesome. I love multi-purpose pieces. I would love to have had this for my last baby and I know my daughter would love to have this for her soon to be born first baby. So fancy! I want this for my niece's baby! Wow this is super nice and comes in so many great colors. Wow! This stroller looks super cool and convenient! I would love to have it for my first baby! I would love to have a stroller system such as this for my son. I love that it can be used in so many ways and that it is available in so many great colors. My kids are past this stage, but I would like to have had this when my children were young. I would love to have this. It comes in so many cheerful colors and I love how it is a 3 in 1 system which would make traveling with baby so much easier.